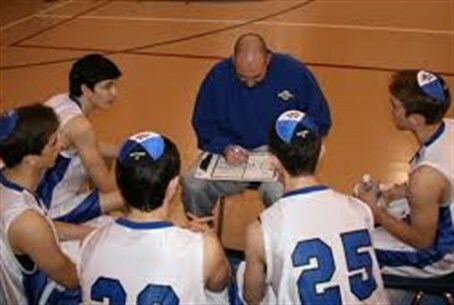 The Beren Jewish day school in Texas lost the championship basketball game – but won the war for honoring the Sabbath. The Beren Jewish day school in Texas has lost the battle – the championship basketball game – but won the war for honoring the Sabbath. The threat of a suit in a federal court demanding that the Texas Association of Schools move a scheduled semi-final playoff from its scheduled Sabbath date, so the Beren team could play, convinced authorities to change their original stand. The policy had been not to change schedules, even for the Jewish Sabbath, although the Association's rules prohibit any games being played on Sunday, the day of rest for Christians. The scheduled Friday night game was moved up to the afternoon, and the Beren team won, giving it the right to play in the semi-finals, which were moved back to Saturday night. The Jewish hoopsters lost the championship game by four points, but few showed disappointment. "All we asked for was a chance and we got it," said Beren coach Chris Cole afterward. "Hats off to Abilene Christian” -- the opponent in the final game. “I'm proud of the way my guys handled everything all week. I think we showed we deserved to be here." “CNN will not need this Saturday night footage after all,” Baldwin added. “The team that stood up for the Sabbath – and religious tolerance – the one that wouldn't stop believing even after it was told it would have to forfeit twice, cannot get all the way to championship game and then lose, can it?